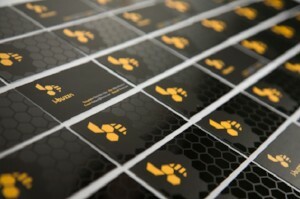 Business Cards are essential in establishing new relationships for local business in New York City. Bestype Imaging is a New York Business Card Printing Company that offers custom designed business cards that enable clients of all markets to promote themselves. We offer printing options that include offset printing press and digital printing, which uses traditional ink on high-quality paper to create a business card worthy of your brand. Digital printing is recommended, if on a budget, without compromising quality. A variety of finishing options are also available from custom cutting to rounded corners and lamination. Bestype Imaging offers RUSH and NEXT DAY business card services in NYC for clients that have last minute convention or meetings to attend. Our staff is committed to providing business card printing rush services and industry leading customer service to make sure the client is completely satisfied with their business cards. As New York's leading digital printing shop, we offer same day or next day business card printing services.